The MapR Certified Hadoop Developer credential proves that you have ability to design and develop MapReduce programs in Java and use them to solve typical problems with large datasets. This exam focuses on the use of MapReduce to solve typical data analysis problems using the MapReduce API, managing, monitoring and testing MapReduce programs and workflows. You will answer 50-60 questions in a 2-hour proctored session. Details of what’s on the exam, exam logistics, including how to register for an exam day and time, specific exam objectives, sample questions, and additionally recommended study materials can be found in the MCHD Study Guide. 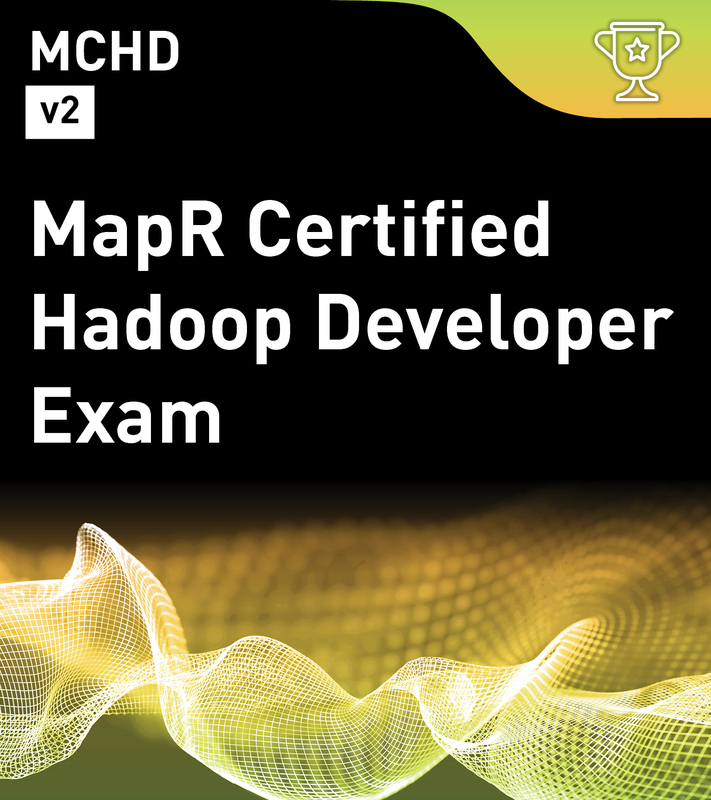 To learn more about this certification and register for the exam check out the MapR Certified Hadoop Developer on MapR Academy. MapR Exams are remotely proctored. You will take the exam at your desk with a proctor viewing your desktop and and your environment using your webcam. To view exam system requirements please the exam requirements in the free Study Guide. For Certification policies, details of the program, and common questions please see the Certification FAQ.